Phuket nestles in balmy Andaman Sea waters on Thailand's Indian Ocean coastline 862 kilometres south of Bangkok. 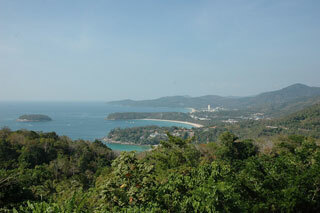 Phuket formerly derived its wealth from tin and rubber, and enjoyed a rich and colourful history. The island was on one of the major trading routes between India and China, and was frequently mentioned in foreign trader's ship logs. This article uses material from the Wikipedia article "Phuket", which is released under the Creative Commons Attribution-Share-Alike 3.0 License.